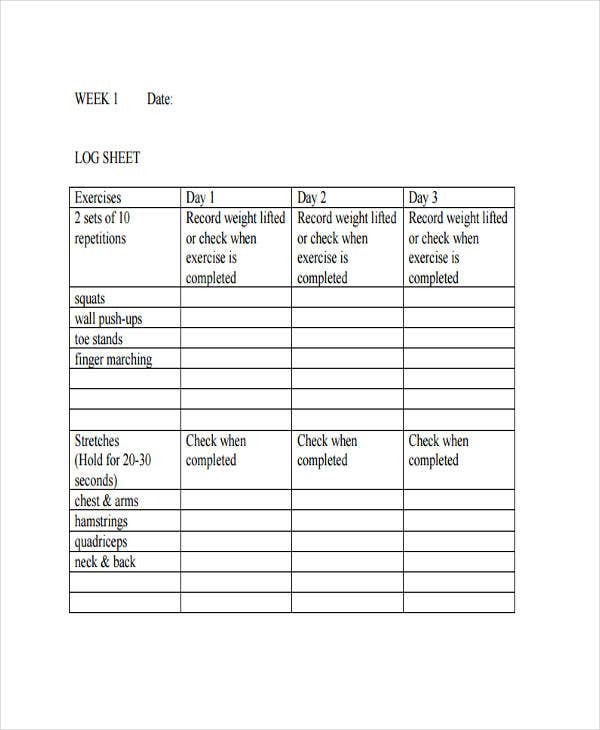 Training sheets are what most training instructors, teachers, facilitators, and trainees use when conducting a certain training or workout. 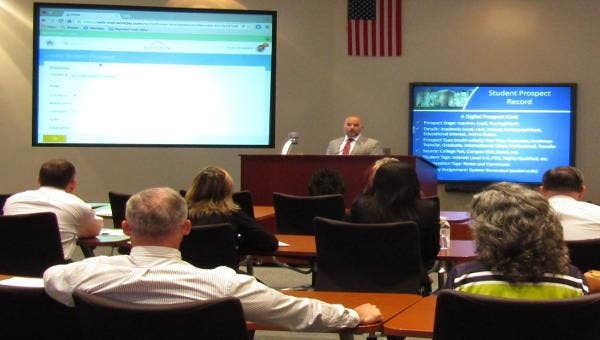 This will give trainees precise details regarding the information, specific courses they need to take, inclusive dates, training topics, and other relevant key points. A training sheet also serves as a record for all the courses taken and topics that are being discussed. Training sheet templates are great tools for having concise and well-made training sheets. Downloading them is also a convenient way for users to print out and make similar documents over and over again. 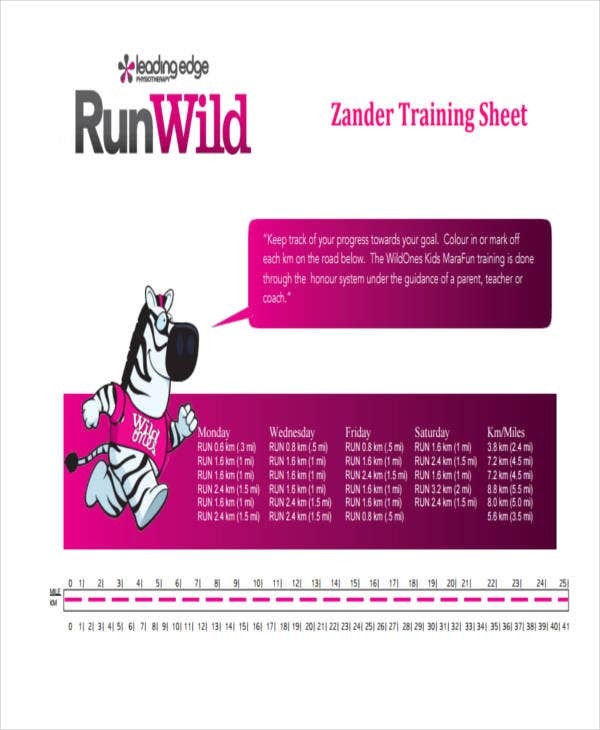 Here, there are a wide variety of training sheet templates that we offer. Take time to see a list of samples below. 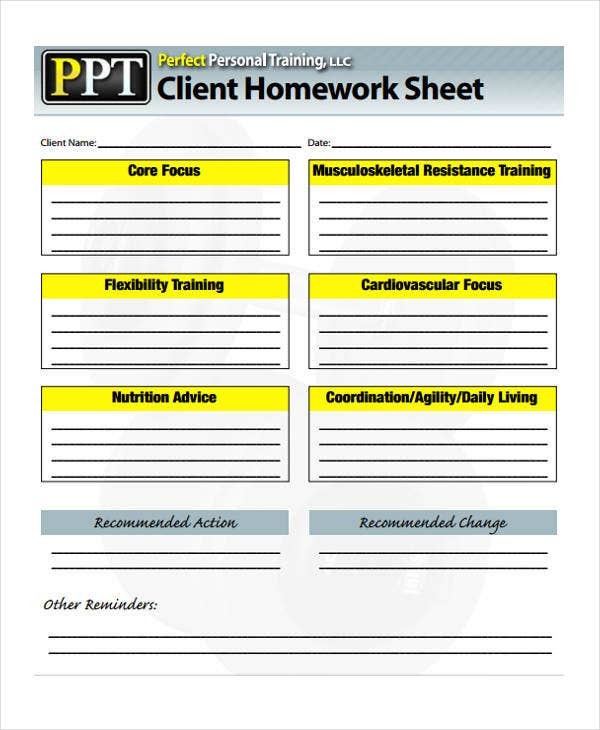 Personal Training Homework Sheet – If you want to have your own training sheet to record your homework training, this template is the perfect choice. 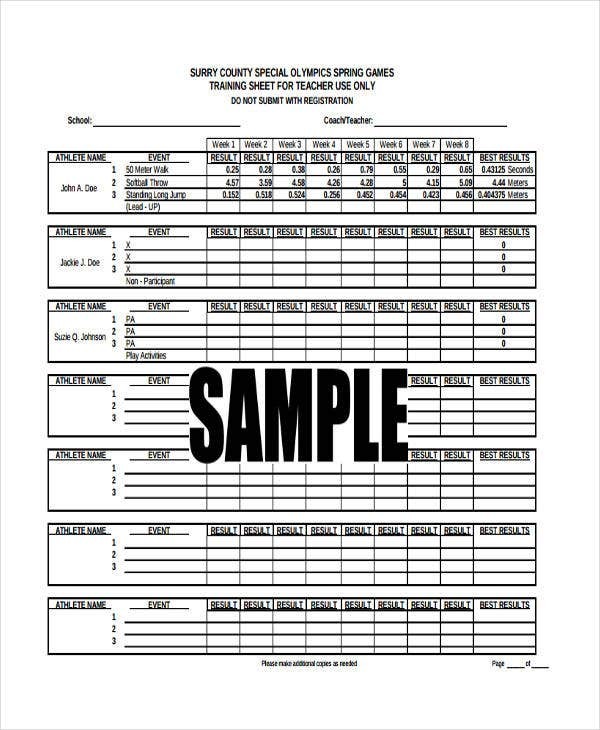 Employee Training Sheet – Mostly used in a company setting where training of employees are mandated. This is for employees to have a copy of all training courses for them to be guided. If you are looking for this kind of training sheet, this template is for you. 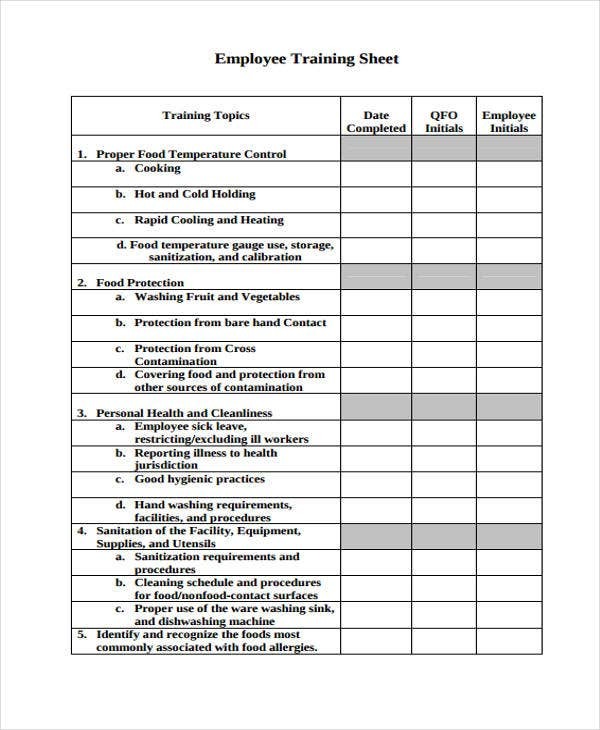 Training Sign-Off Sheet – This template will allow you to monitor which employees stayed the entire length of the course or left in the middle of it. Staff Training Record – Using this template, you can monitor the different kinds of training that each staff has undertaken. 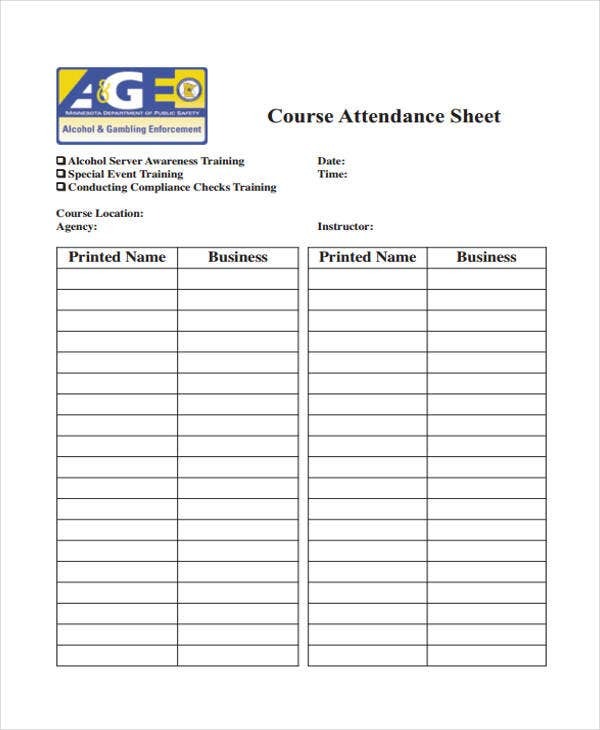 An attendance sheet templates is what most people use for tracking a person’s attendance record. This serves as a basis when it comes to adherence checking. Training focuses on enhancing a trainee’s ability to perform certain job or task. And in every finished course there should be a certificate given. Now, in order for trainees to be more effective with each training topic and activity, one must create a comprehensive and compelling training sheet. Here are some helpful tips. Always observe proper and simple formatting. The way your training sheet looks can also affect the way a trainee thinks about how you handle the training. At the top portion, write the company or the organization’s conducting the training. Plan your objectives for the training. An effective and realistic objective written on a training sheet is important. State the purpose of the training. This way, trainees will be able to know what is the purpose why they need to attend and finish the training. Type all training courses in order. 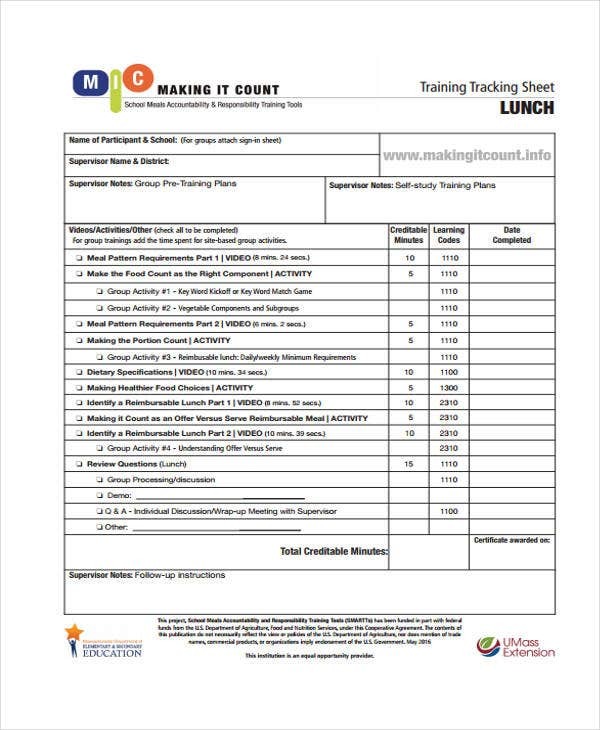 You also need to include the duration for each training course.Make sure you have all required information included on the sheet. But if you want to make everything easier, downloading our training sheet templates is an ideal way. When talking about training, attendance should always be a part of it. So if you also need attendance sheet templates, you can check out our samples by clicking on the link.